Top quality karaoke amp benefit from Yamaha’s long audio experience to deliver clear, sweet sound that is ideal for singers’ voices. No worries about distortion of howling, and they feature great Echo Modes. Normal, Wide and Spacious Echo Modes (REV100 Karaoke Echo) make every singer sound like a pro! Yamaha is a world leader in the field of professional audio equipment. Yamaha mixing consoles and amplifiers are used in many of the world’s top recording studios and music venues, setting the standard for pure, natural sound. This expertise and experience are behind the creation of the KMA-980, so they deliver powerful output with clear, rich sound that’s perfectly tuned to make voices sound their best. Yamaha’s exclusive Echo Modes, the same as Karaoke Echo on the legendary REV100 Digital Reverberator. The sound is full and dynamic, and the left-right delay time gives a wider stereo effect than ordinary echo. The KMA-980 offers a choice of Normal and Wide Echo. With Echo Modes, every song and every singer sounds great! Using EEEngine technology, this amplifier delivers 150W of clean, reliable power. Their high efficiency means it operates with low heat and low noise, and unlike ordinary analog amps do not require a low-pass filter that degrades audio quality. Designed to maximize quality from microphone input, the sound has good response in all frequency ranges, low distortion, no coloration and plenty of power in the midrange for dynamic vocals. Annoying howling sounds are a thing of the past, thanks to Yamaha’s Active Howling Canceller. It automatically limits howling without affecting the vocals, so is convenient and improves sound quality. 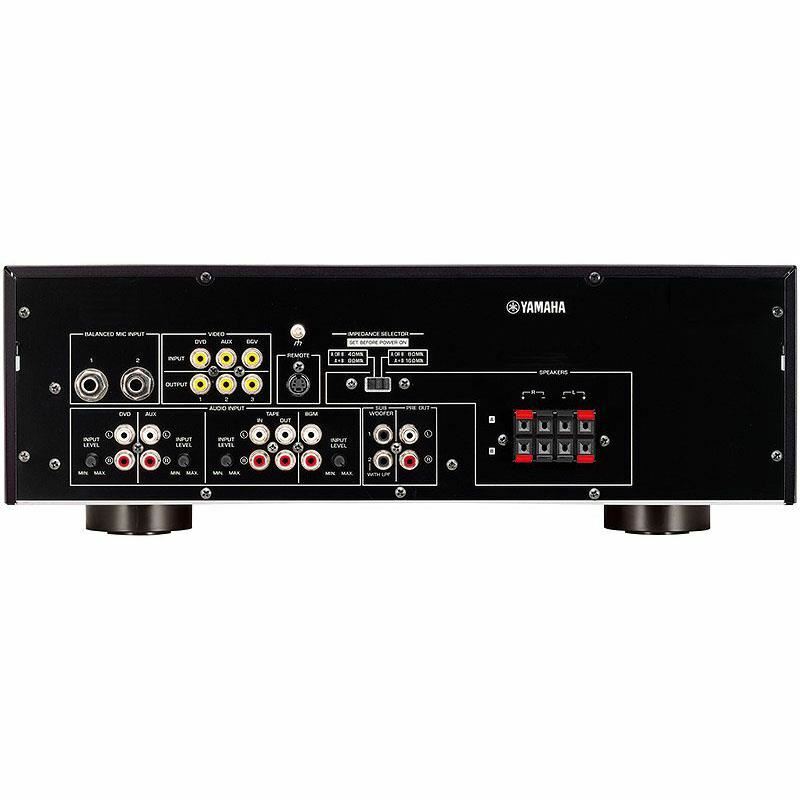 Unlike the usual four-channel output that mixes the Vocal and Music signals in each channel, these amplifiers can output the Vocal signal and Music signal separately. This allows a four-speaker system with different Vocal and Music channels, so you enjoy stereo Vocal with clearer sound quality. The large control knobs are four-gang rotary encoder types, ensuring smooth, responsive operation with a professional feel. The volume knob has LED number indications, so it is easy to see in a room with low lighting. 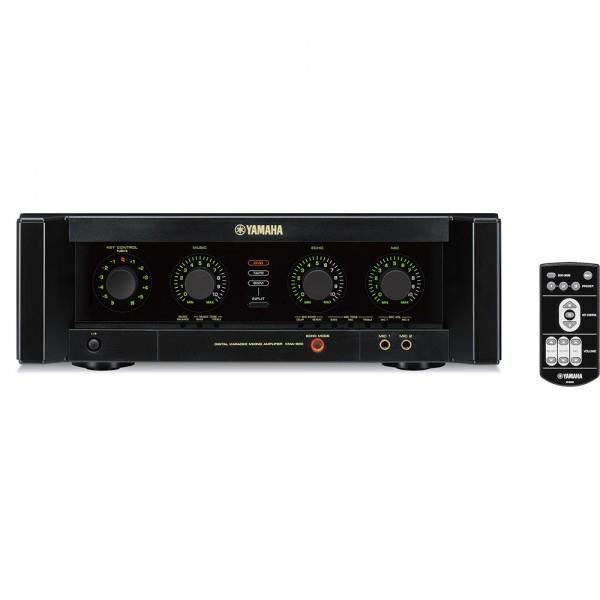 The KMA-980 has 2 front and 2 rear mic inputs, and 1 speaker terminal. In addition, it has 3 audio and 2 video inputs. Fender Champion 40 - 40-Watt Electric Guitar AmplifierA solid-state amp with plenty of effects and sound despite its compact size.Simple to use and versatile enough for any style of guitar playing, there’s a Champion amp that’s right for you whether you’re looking for your first practice amp or affo..
Amplifier Bass Behringer Ultrabass BXL450AUltrabass BXL450A amp bass memiliki ukuran yang sempurna untuk berlatih atau pemanasan di belakang layar. BLX450A menawarkan daya 45 watt output bertenaga melalui BUGERA 10"High-Impact Cone Speaker dilengkapi dengan EQ 5-band aktifnya memiliki fi..
Proel LT-6A Active 2-way loudspeaker systemsThe LITE Series by PROEL is an extended range of active and passive speaker systems with plywood cabinet offering the renowned PROEL sound and a high-level performance in a reliable and affordable package.For the construction of the cabinets we have used p..
Spekaer Aktif Alto Professional TS-315Seri Alto Truesonic TS3 dirancang dengan driver frekuensi yang rendah sehingga mampu mengeluarkan suara yang keras dan memberi tenaga yang kuat dari pada pendahulunya Alto TRUESONIC TS-2.TS-3 sudah didukung dengan kontrol panel dan indikasi kontrol yang lebih je..